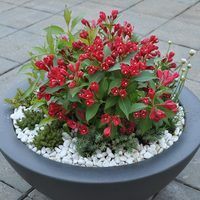 Popularly grown as a potted plant but also a perfect addition to the front of a border, the Hebe Heartbreaker is a favourite compact shrub of the British gardener guaranteed to bring colour and character to the garden all year long. 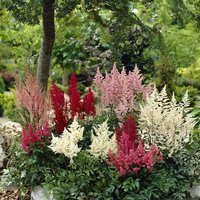 During the summer, the narrow green leaves of the Hebe turn dark, luxurious green with cream edging, but will flush a deep and vivid pink during winter months bringing much-needed warmth and vibrancy at a time when other plants are beginning to recede. 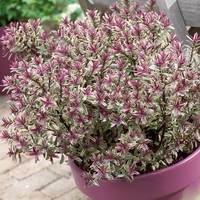 The Hebe Heartbreaker is loved mainly for its charming, colour-changing foliage, but will also yield clusters of delicate purple buds which can unfurl into flowers between June and September. 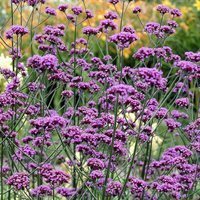 Highly complementary to other winter plants, reaches a mature height of 50-80cm. 9cm pot grown plants supplied. Planting Plant in a hole the same depth as the container, with room for the roots to develop/expand. Plant in a hole the same depth as the container, with room for the roots to develop/expand. 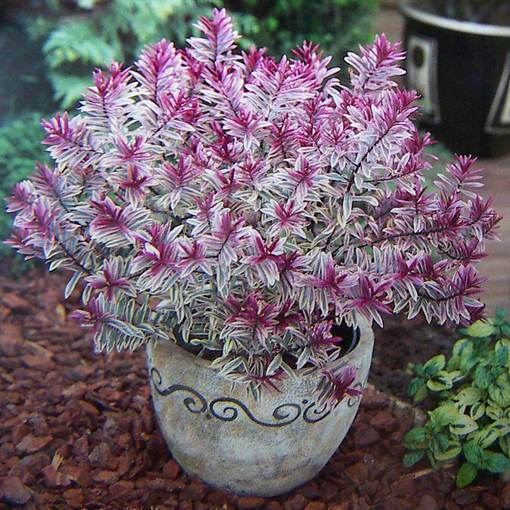 Plant in any good quality garden soil, as long as it is relatively moist. Plant in full sun or in partial shade. 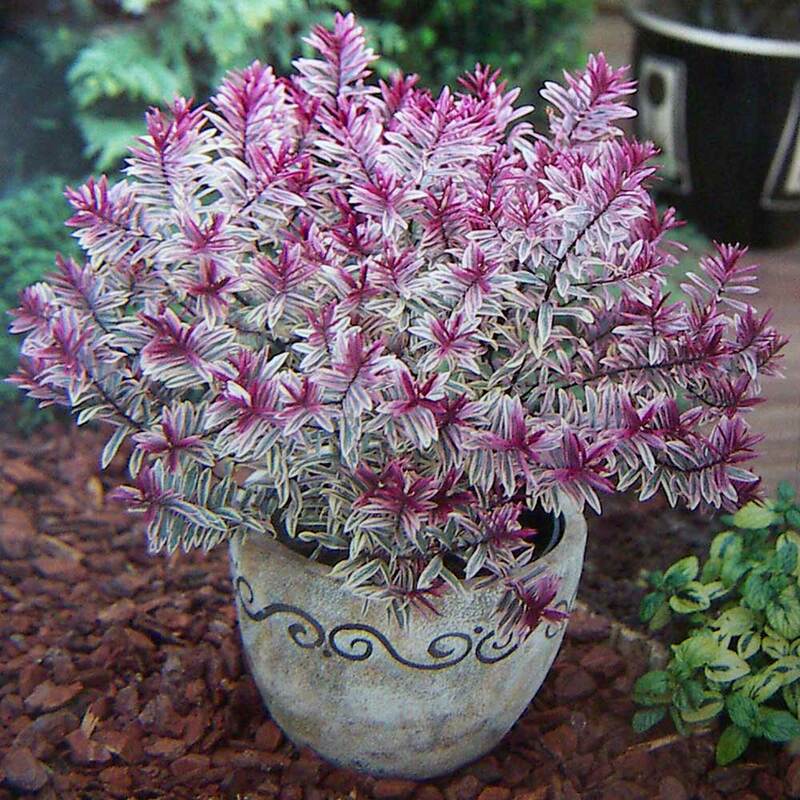 Dwarf evergreen shrubs bred for their vibrant foliage. 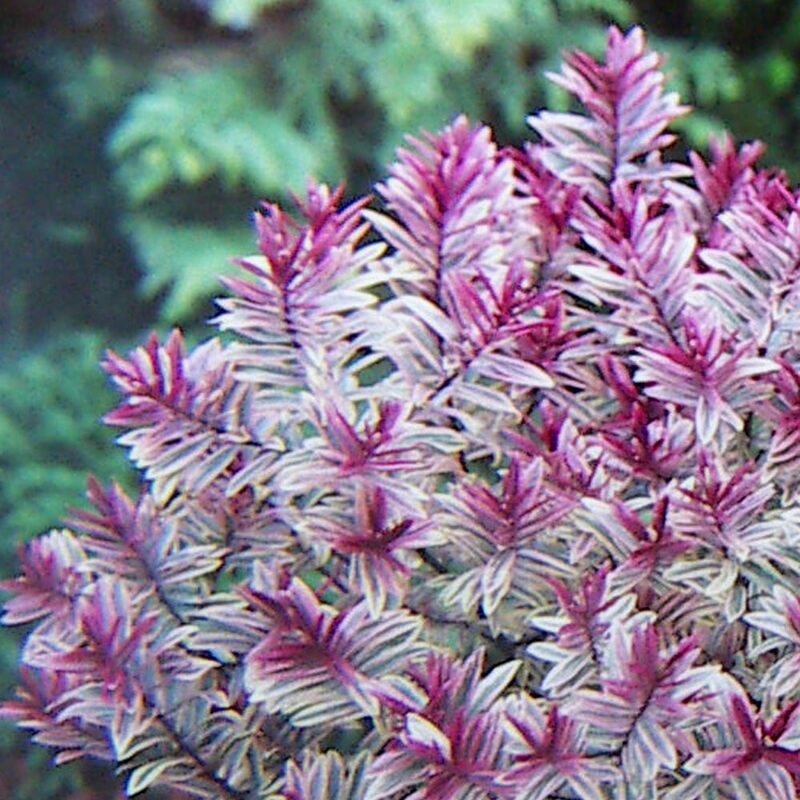 Ideal for front of border displays or patio containers.